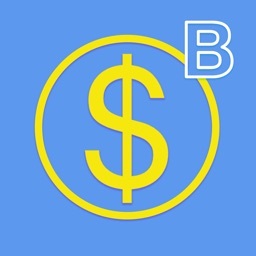 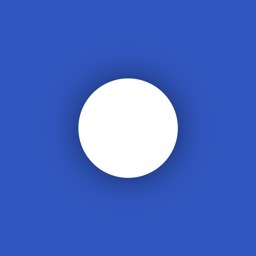 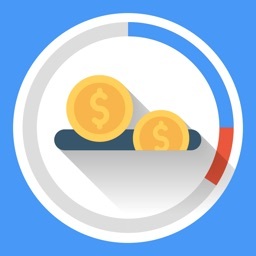 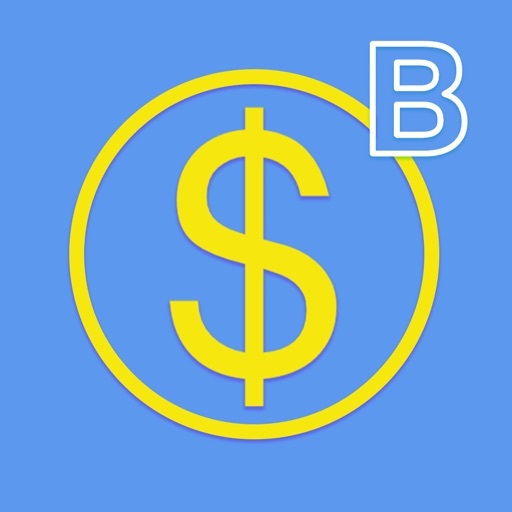 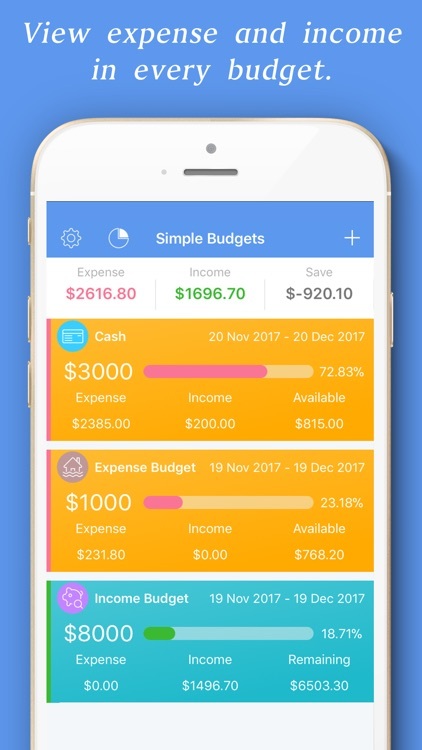 Simple Budget is a personal finance app for budget planning and money management. 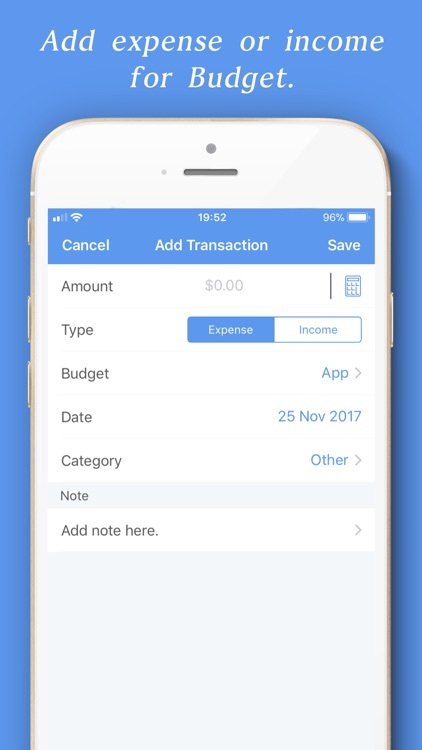 Give it a try and have instant control over your spending! 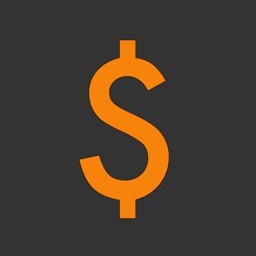 Download now and save money! 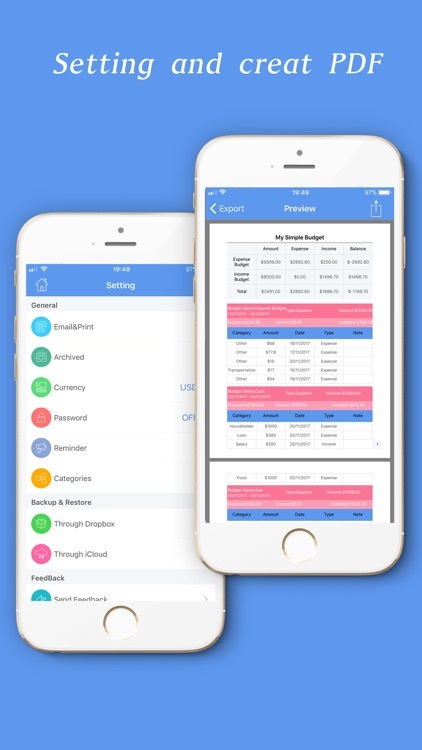 -Export your transactions by email for use of desktop applications. 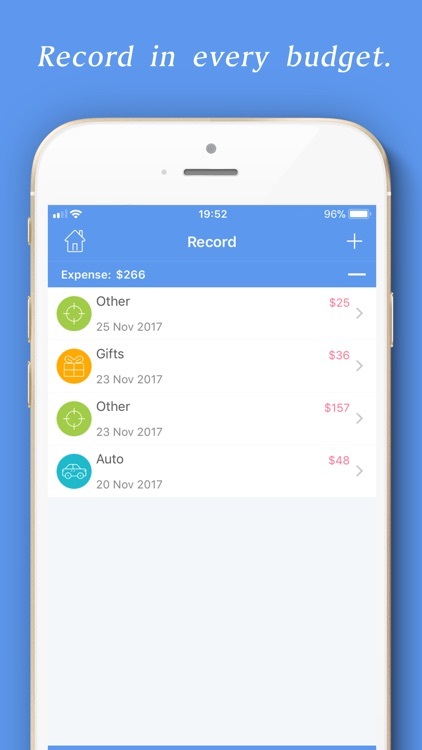 -Review your expense & income under your budget. 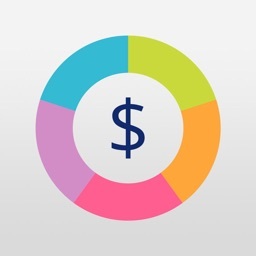 -Review all your expense & income by category with beautiful graphs and reports. 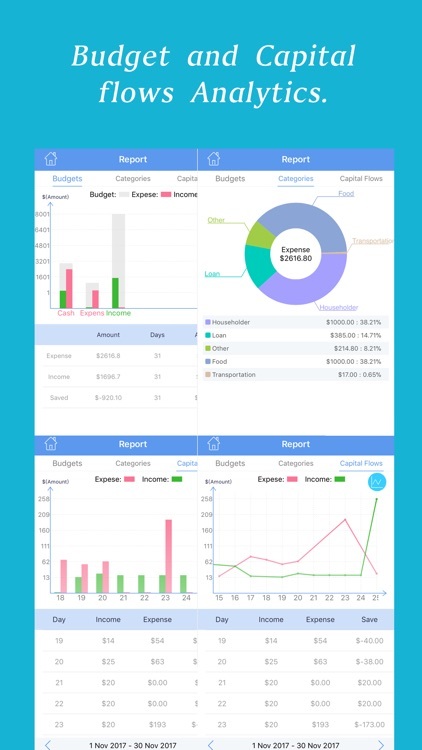 -Review your expense and income on desktop. 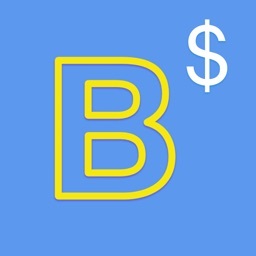 -Automatic add transaction for every budget.